George and Kathy Lutz and their three children move into a house that was the site of a horrific murder a year before. 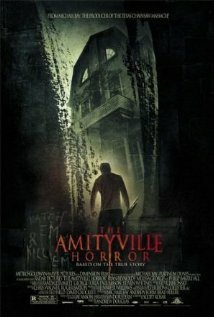 They decide to keep the house and try to keep the horror in the past. This is until, George starts to behave weirdly and their daughter, Chelsea starts to see people. What now follows is 28 days of sheer terror for the family.